Celebrate the holidays with Darth Vader, legendary Jedi Master Yoda, Wookiee warrior Chewbacca, C-3PO and R2-D2. 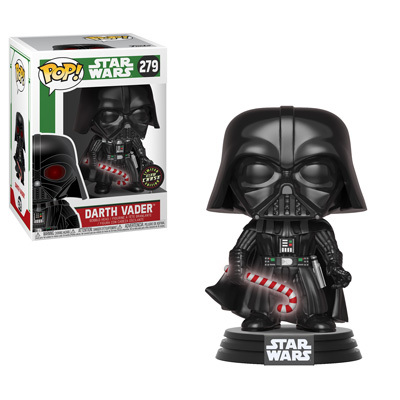 The Darth Vader Chase has a glow in the dark candy cane. Collect them all this Fall!